Responsive web design is a way of making a single website that works effectively on both desktop browsers andmobile devices. Responsive architecture gives the best quality browsing experience – whether on a smartphone, tablet, netbook or e-reader, and regardless of the operating system.mobile ready web design People who browse while on-the-go have very different needs than those sitting at a desk. Responsive web sites re-organize themselves automatically according to the device viewing them, so that the same website provides a great experience everywhere. Desktops get a full-blown interface with videos, large images and animations. Smartphones get a simplified website that runs fast without the bells and whistles. 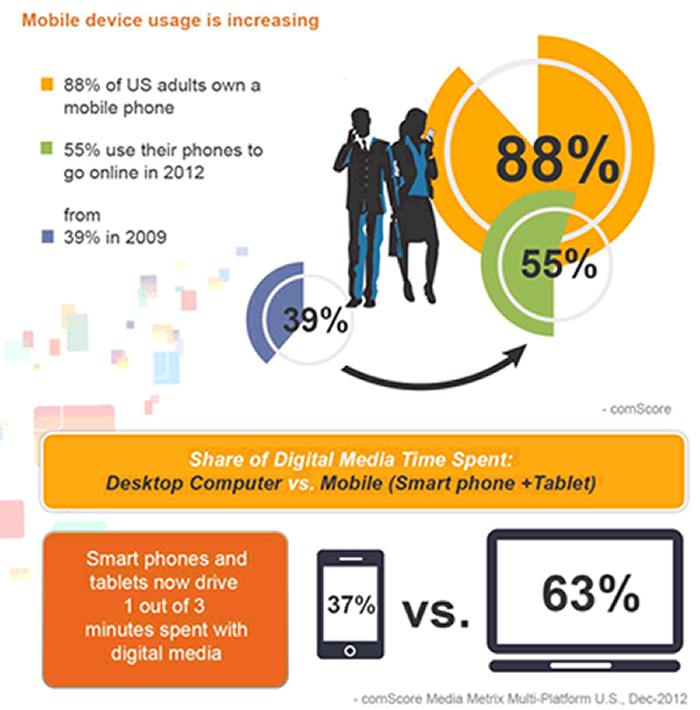 Tablets and netbooks get something in between. WordPress is one of the best platforms for building an SEO-friendly website. The latest version of WordPress will be installed and configured on the web server. File Transfer Protocol (FTP) and Content Management System (CMS) access will also be generated during this phase. If required, additional users for the site's back-end will also be created. A website's back-end refers to scripts and applications that are run on the server. 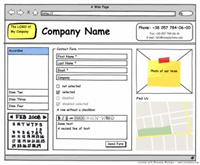 The back-end may also refer to the database that controls the user interface. 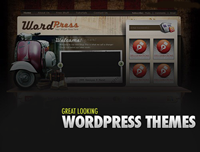 A WordPress Theme depicts the layout and the graphical interface of the site. An appropriate WordPress theme will be installed for the site depending on its purpose or function to the company it represents. The selected theme will also be compliant to SEO standards. you can choose a theme from our in-house theme gallery through www.marketinghelper.net, or you can provide a theme from other sources for us to use. A Blog helps circulate content and divert more traffic into your site. WordPress is one of the most powerful blogging platforms today. The WordPress blog will be incorporated to the site. The blog will be completely configured with useful widgets, post categories, and SEO options. For best results, the blog will be integrated into the site and will be given its own directory (eg. /blog/). Relevant images that we scoured for across the Web will be strategically inserted within the website. Each image will be hand-picked to complement the blog article, adding value to the website's design and keeping the visitors engaged. Please note that due to copyright restrictions, we are limited to choosing images from the free Public Domain Libraries which have an extremely limited selection. If we cannot find appropriate images, you may have to resort to procuring the images yourself. A banner is the graphic image used to promote a website's main product line or service. It is usually located on the most conspicuous areas of the site. A custom banner incorporating the company's selected products and/or services will be furnished. Banners will be designed to be striking, stylish, and compliant to the company's theme or motif. Content is the most important aspect of the website especially in terms of SEO. Uploading content involves equipping the website with important and relevant content such as articles, blogs, or any other textual content. It also includes formatting the content's design, typography, header, and bullet list styles to complement the site's theme. The textual content and design will be developed and measures to make them compliant to SEO guidelines will be strictly followed. The Contact Form is the main tool for converting a casual site visitor into a valued customer. 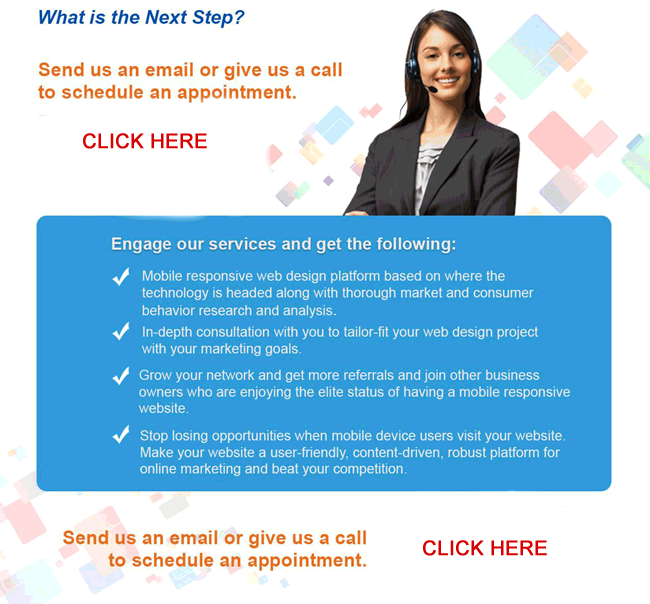 A fully functional basic contact form will be crafted based on the pertinent information provided by you. Plug-ins are tools used to extend the functionality of the WordPress platform and are only applicable to self-hosted blogs and web sites using the WordPress.org software. The XML Sitemap Generator plug-in will generate a special XML sitemap which will help search engines like Google, Bing and Yahoo to better index the pages of the site. XML sitemaps make it possible for crawlers to see the complete structure of your site and retrieve it more efficiently. This eliminates the manual labor of updating the XML sitemap in the FTP each time a URL has been altered or a page is added to the site..
A User Sitemap is an on-site Web page that links to all the other pages on your website. This type of sitemap is generally for Web site visitors but is also useful for spiders/search engines. It helps any spider crawling your site to easily and quickly find and index all of your site's important Web pages. We will be checking to see if there is an existing User Sitemap and whether or not our target pages are included there. If we find that the Web site has no sitemap, then we will be creating/recommending one (depending on whether or not we have access to do so). If we determine that the site does not have a User Sitemap, a new page will be created for this. The user sitemap containing all the relevant pages of the website will also be added to the menu or footer (whichever is applicable) for users to access. Plug-ins are tools used to extend the functionality of the WordPress platform and are only applicable to self-hosted blogs and web sites using the WordPress.org software. 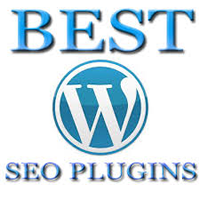 The SEO Plug-in for WordPress is a complete onsite SEO solution which automatically optimizes the WordPress blog to be SEO-friendly. Google Analytics is a web analytics tool offering detailed visitor statistics. The tool can be used to track all the usual site activities: visits, page views, pages per visit, bounce rates, average time on the site, and much more. It is an in-depth traffic analytics program. We will be checking the site for an existing and working Google Analytics (GA) script. What we find will determine whether or not we need to generate a GA code for the site. Generating a Google Analytics (GA) script for the site: If the site does not have a GA script or the client prefers we replace the existing one, then we will generate the GA script for the website. The code generated will later be installed on the site. Installing the Google Analytics (GA) script to the site: The generated GA script will be added to the site's source code. This will be used to track user interactions with the website via the Google Analytics dashboard. Responsive Design is constructing and designing your website in such a way as to adhere to web standards while at the same time being compliant to any browser resolution. This allows any viewer, using any device, to view your website properly without breaking the site's main functionality. This will ensure that the back-up copy of the website will be secured and will not be removed from our server for three (3) months. Website Migration is the transfer of a website from one web host to another. This transfer requires the relocation of all integral website files to a new host. This service will cover all of the procedures and prerequisites of a thorough website migration..
We will build out structural mockups of your theme in wordpress and modify it to fit your needs. We are not capable of producing anything to fit a drawn up image, but for the most part we are able to produce a custom designed wordpress site to fit 98% of all custom requests. The structural mockups are basically the blueprint to your website. Each website has a layout and it is best to finalize the structural layout of the website before we enter into design. Therefore the team will provide structural mockups of the website and communicate with you until the structural layout of the website is approved and finalized. This is the larger portion of what make 'Custom Wordpress Design' custom, because we are creating the structure to fit your needs, as opposed to choosing a theme to build off of that has a pre existing structure. It keeps your desktop and mobile content on a single URL, which is easier for your users to interact with, share, and link to and for Google's algorithms to assign the indexing properties to your content. Google can discover your content more efficiently as we wouldn't need to crawl a page with the different Googlebot user agents to retrieve and index all the content."